Prashanth, who was caught up in a messy divorce, is all set to begin a new life. 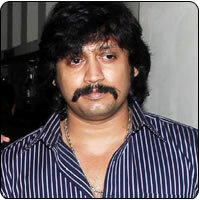 The actor is currently busy with Mambattiyan, which is being directed by his father Thyagarajan. This film is a remake of the smash hit Thyagarajan-starrer Malaiyoor Mambattiyaan. He also has another project lined up, which is Ponnar Shankar. In a recent interview, Prashanth’s father and filmmaker Thyagarajan revealed that plans are afoot to get his son married soon. He had also disclosed that the marriage will take place within a few days of Mambattiyan release.